The iPhone 7 is here Everything You Need to Know About the iPhone 7 & iPhone 7 Plus Everything You Need to Know About the iPhone 7 & iPhone 7 Plus No headphone port, water and dust resistance, and Apple's best camera yet -- this is the iPhone 7. Read More and it’s missing a headphone port. Much of the internet is up in arms about the news, but it’s hardly the first time the company has pulled such a stunt. 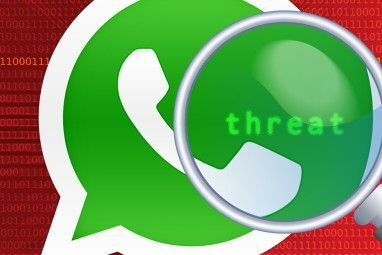 It’s the latest in a long line of seemingly drastic changes that have generated headlines, consumer backlash, and ultimately more progressive devices over the years. There’s a good chance you were still using floppy disks in 1998, which is the same year that Apple released their iMac G3. The computer featured a brightly colored all-in-one design that omitted a floppy disk drive — a change that was met with disbelief and ridicule at time. But the G3 came with something else — two USB 1.1 ports. It also featured a 24x CD-ROM drive front-and-center, with later models including a DVD drive. Sony, pioneers of the 1.44MB medium, waited until 13 years later in 2011 to officially cease production of the floppy 5 Useful Things You Can Create With Your Old Floppy Disks 5 Useful Things You Can Create With Your Old Floppy Disks Read More , and it’s likely that Apple fired the first shots. At the time USB drives weren’t ten-a-penny like they are these days, but the G3 also didn’t have the ability to write to optical media. 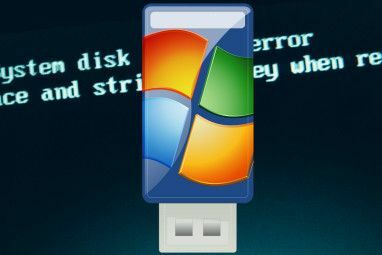 Abandoning the floppy drive put removable USB storage into the limelight, prompting many third parties to make matching translucent plastic USB drives. In 2001 Apple revised the G3 and added a CD writer/rewriter. If it wasn’t for the G3 would we still be using floppy disks today? Of course not, but it arguably accelerated the acceptance of the USB standard as a more robust and reliable storage medium. After years of speculation and rumors that the company behind the iPod would be making a cellular device, the iPhone made its debut in 2007. At the time the market was flooded with resistive plastic touchscreen cell phones that were unreliable and often unpleasant to use, while the upper-end of the market was dominated by BlackBerry, Nokia Symbian, and Sony Ericsson business devices. At a time when most of us made do with what have become known as “feature phones” or “dumb phones,” smartphones were generally much larger devices that featured full QWERTY keyboards, and many relied on a stylus. The iPhone changed all that, introducing a business-class device with a multi-touch capacitive touchscreen The Evolution of Touchscreen Technology The Evolution of Touchscreen Technology In the tech space, time moves quickly; a little more than seven years ago, smartphones as we know them did not exist — now, they’re the most profitable tech industry on Earth. Read More you could use with your fingers. Autocorrect did its best to fix obvious typing errors, and the removal of a physical keyboard put the display and accompanying software in charge of input entirely. Features like pinch-to-zoom became the new normal, and though the original iPhone didn’t have 3G connectivity, it included the Safari web browser — a real web browser you could use with a swipe and a tap. As other manufacturers adopted multi-touch technology, physical smartphone keyboards began to disappear. The HTC Dream was the first commercially-available Android device, appearing in 2008 with a sliding screen that revealed a full physical keyboard. A few years later and nearly every Android device used on-screen software keyboards, and Android devices soon took the lead in pushing screen size boundaries further than Apple dared (sometimes beyond sensible limits). Sure you can still buy BlackBerry devices with physical keyboards, but the company no longer holds the power it once did over the market and many retailers simply don’t carry them. Unless you want a business device that places security above all else The One Reason To Get A BlackBerry In 2016: Security The One Reason To Get A BlackBerry In 2016: Security BlackBerry devices have a much-deserved reputation for security, greater even than iOS and Android. Even in 2016, BlackBerrys continue to set the standard for smartphone security and trust. Here's why. Read More , you’ll likely never own another RIM device. Another bold move that followed the iPhone around for a while was Steve Jobs’ reluctance to include Flash as part of iOS. At the time much of the web’s video content (and a large number of games) used Flash as their primary means of delivery, and Apple’s decision not to use the technology in 2010 wasn’t met with the rapturous applause it probably deserved at the time. Steve Jobs went as far as penning an open letter to Adobe, called Thoughts on Flash which you can still read on Apple’s website today. In it he cites a myriad of reasons on why Apple wouldn’t be adopting the technology, ironically beginning with the proprietary nature of Adobe’s technology. In essence, the fact that Flash was Adobe’s own closed technology didn’t align with the company’s design philosophy. He also brought up battery concerns, the fact that Flash games were designed with mouse and keyboard in mind, and concerns in terms of Apple’s own ecosystem as far as creating software for the iOS platform. Adobe has repeatedly said that Apple mobile devices cannot access “the full web” because 75% of video on the web is in Flash. What they don’t say is that almost all this video is also available in a more modern format, H.264, and viewable on iPhones, iPods and iPads. This essentially forced distributors of online entertainment to move away from using a closed proprietary format and towards modern open technology (H.264 at the time). Android followed suit in ditching Flash in 2012, and many other companies have tried to ditch it since Die Flash Die: The Ongoing History of Tech Companies Trying to Kill Flash Die Flash Die: The Ongoing History of Tech Companies Trying to Kill Flash Flash has been in decline for a long time, but when will it die? Read More . 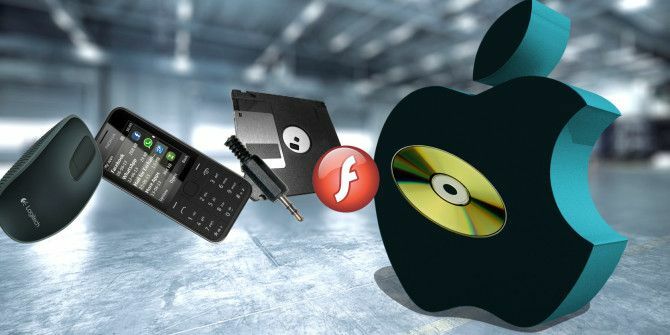 Jobs’ vision of an internet that wasn’t dependent on proprietary technologies helped accelerate the demise of Flash, and the adoption of open technologies that even non-Apple devices could use. The humble computer mouse is still alive and kicking, but it isn’t necessarily the best choice for Mac users. Thanks to the success of devices like the MacBook Air, a large percentage of Mac users interact with macOS (what used to be Mac OS X) using a laptop trackpad. This led to increased touch-friendliness on the desktop, with Apple stopping short of doing a Windows 8 and adopting a hybrid touchscreen approach. The same multi-touch technology you’ll find in an iPhone or iPad has made its way into Apple’s trackpads in 2008 with the arrival of the MacBook Air. Apple adopted the same “native” scrolling found on its mobile devices using two fingers instead of one, pretty much the opposite to Microsoft’s approach on Windows. More multi-touch gestures have made their way into macOS over the years, like the ability to tap a word with three fingers to look up its definition or search Wikipedia. Users can now switch desktops with a three finger swipe, scatter all open windows by flicking four of more fingers outwards, and pinch-to-zoom just like an iPhone or iPad. Even though Apple still makes a mouse, the Mac is more pleasant to use if you can take advantage of such gestures Why OS X Works Better with a Trackpad Why OS X Works Better with a Trackpad While Microsoft has focused on bringing touchscreen technology to the desktop, Apple has continued to optimize for the more traditional pointer-based approach. Read More . Apple finally brought multi-touch technology to its desktop computers with the arrival of the Magic Trackpad in 2010. In addition to being smooth, accurate, and wireless; the $69 peripheral was 80% larger than the trackpad found on the MacBook. The latest version of the Magic Trackpad introduced in 2015 adds pressure-sensitive Force Touch input (known as 3D touch on the iPhone Why 3D Touch Might Make You Switch to an iPhone Why 3D Touch Might Make You Switch to an iPhone Android fans: we can no longer claim we have the best smartphone. Read More ) and haptic feedback. It’s also 13% bigger and now features a lithium ion battery and the same Lightning connector used on iOS devices. Apple took another gamble in 2008 when it released the original MacBook Air sans disc drive. In order to create a thin and lightweight machine, the company decided to ditch bulky optical media and cut down on a number of ports in favor of adapters. The result was a svelte machine comparable in size to netbooks of the time, with the power of a regular laptop and a full-fat desktop OS. While this might not seem so bold right now, in 2008 Apple had no Mac App Store. There was no Office 365, Adobe Creative Cloud, Spotify, and on-demand streaming services like Netflix and Hulu were barely getting started. The MacBook Air was also very expensive at the time, and the entry level MacBook was still made of plastic. In 2009, a server version of the company’s Mac mini dropped the optical drive, which was finally removed from the regular version in a 2011 update in favor of a thinner design. In 2012 the MacBook Pro with Retina display and 2012 slim unibody iMac were both released, each lacking an optical drive. Apple’s long-awaited Mac Pro refresh in 2013 removed the optical drive, and you can now only get one Apple computer with an optical drive: a chunky 13″ MacBook Pro. When the Retina MacBook was released in 2015, it took cues from both the MacBook Air and latest MacBook Pro models. With the sort of power-efficient mobile processor you’d more likely find in an Air, with the beautiful pixel-dense screen you’d find in a new Pro, the latest addition to Apple’s portable computer line-up tries to tick a lot of boxes. It’s also incredibly thin, something Apple has achieved by significantly cutting down on the number of ports the laptop has. Bold or stupid, Apple decided that the laptop only needs two ports — a headphone port, and the still-uncommon USB-C connector. If you want to output HDMI, use an old-style USB stick, connect to Ethernet, use a Thunderbolt monitor, or plug in an SD card — you need to buy an adapter How To Add Missing Ports To Your New MacBook How To Add Missing Ports To Your New MacBook Sometimes you just need more ports, particularly if your laptop only has one connector. Here's how to add them to your new MacBook. Read More . So what was Apple thinking? It’s partly a design decision that had compromises. By telling customers they don’t need all those ports and cables, they can sell something much smaller and elegant provided their users are willing to make the sacrifice. They’re also pushing the USB-C standard into the limelight, going as far as using it as the laptop’s sole source of power. Apple is saying you can make do with cloud storage. You can transfer files locally from your iPhone using AirDrop. You can back up your iOS devices over Wi-Fi, output videos to Apple TV over AirPlay, use your camera’s Wi-Fi sharing feature to import snaps, and replace your old USB cables with new ones How to Buy a USB-C Cable That Won't Destroy Your Devices How to Buy a USB-C Cable That Won't Destroy Your Devices A few months ago, Amazon banned USB-C cables that did not meet the standards set forth by the USB Implementers Forum (USB-IF), and for good reason: such cables are prone to failure, can damage connected... Read More if you need to use external storage. The lack of ports on the new MacBook shouldn’t put you off Should the New MacBook's Single Port Scare You Away? Should the New MacBook's Single Port Scare You Away? Apple recently revealed the new MacBook, and it's a jaw-dropper — but it also has only a single port. Was this a blunder, or a sign of the future? Read More if you’re looking for that sort of device, it’s all about intended use. Whether we’ll look back on this decision in a few years and view it in the same light as the ditching of the floppy disk or optical drive is something you’ll have to decide for yourself. Despite the uproar, the decision to drop the headphone jack in the iPhone 7 will probably work out favorably in the long run. 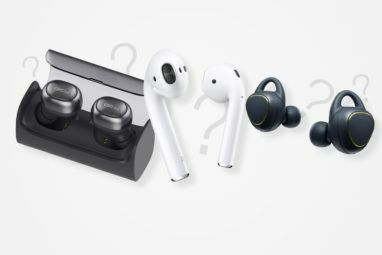 In addition to introducing a new low-power standard for its own wireless AirPods, Apple is putting the emphasis on third party headphone manufacturers to take over the digital to analogue conversion process and improve sound quality overall. It likely made Apple’s inclusion of water resistance more possible, and ultimately more reliable. The improvement of Bluetooth audio and arrival of earphones that can draw power directly from your device (to power noise cancelling technology, for example), is something to look forward to. And it’s likely only a matter of time before a pass-through Y-cable arrives that allows you to power your device and use the Lightning-to-3.5mm adapter at the same time. Furthermore, other manufacturers will likely be following suit, and that’s not a bad thing. The iPhone 7 sounds great, and you don’t have to buy an overpriced pair of Apple earphones to see why No Stereo Jack, No Problem: Why the iPhone 7 Sounds Great No Stereo Jack, No Problem: Why the iPhone 7 Sounds Great It's official -- Apple has removed the standard 3.5mm headphone jack on the iPhone 7. But don't worry, this is a good thing. Read More . Apple has changed a few industries and along with it a few of our technology habits. But have they made the world a better place? What do you think. Explore more about: Apple, Headphones, iPhone 7, iPhone 7 Plus. All these apologist Apple stories are just pathetic. Removing a technology while that tech is still in use is just not good for the customer. PCs got rid of the floppy, CD, etc but what they did was had both the old and new tech at the same time. When enough customers no longer needed the old ports or drives, it was phased out. Now the 3.5 dedicated audio port is far different then any of these other examples. Its not only implemented in technology but with almost anything that uses sound. It is one of the most universally implemented standards in almost any industry. And it works flawlessly and because of its simplicity has an extremely low number of break points. Then there is the point that digital sound has to be converted to analog before transmitting to or from speakers and mics. Moving this conversion to an cheap dongle or over complicated a headphone serves no benefit. Plus the phone has to have its own DACs anyway for its internal mics and speakers. And for the same money, wired speakers will always be better because no capital is spent on batteries, chargers, all the other tech in wireless headsets. Then there is the environmental cost of constant recharging (CO2), battery and tech production, e-waste as the battery eventually dies or the complicated tech fails. Now there is also the elephant in the room in that Apple makes $billions on proprietary connections like lighting but zero on the 3.5. Its another reason you are less likely to ever see a USB-C on a iOS device and why they are creating the W1 standard for more lock-in and licensing fees.